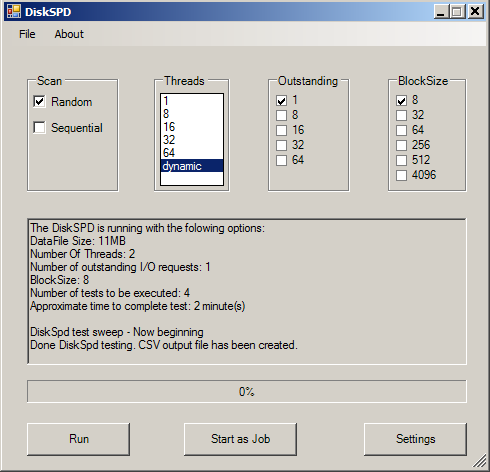 DiskSpd is a highly customizable I/O load generator tool that can be used to run storage performance tests against files, partitions, or physical disks. DiskSpd can generate a wide variety of disk request patterns for use in analyzing and diagnosing storage performance issues, without running a full end-to-end workload. You can simulate SQL Server I/O activity or more complex, changing access patterns, returning detailed XML output for use in automated results analysis. Geekbench GUI Tool compares system performance across devices, processor architectures, and operating systems. 1. Deploys the Geekbench ZIP file to the remote computers using PowerShell remoting (instead of traditional file copying, it copies files over a PSSession to multiple computers simultaneously). 2. Unzips the archive on the remote machine leveraging Windows’s built in zip file support, via the Shell.Application object. 3. Runs licensing, benchmark with export to remote computer. 4. Transfers the export file to local machine (where the script is running from). 5. Deletes the deployed files on the remote machines. 6. Run Geekbench licensing on the local machine. 7. Converts the original export to HTML and text. NetIOGUI measures the throughput of a network via TCP and UDP protocols using various different packet sizes. It uses PowerShell Remoting to deploy a command line instance on multiple target machines and run it as a server process, where another instance is running on the source machine to perform the benchmark and collect the data from the remote machines. Collects detailed information on a SQL instance such as SQL Server configuration, memory utilization, database settings, service accounts, network protocols, log size, etc. Inspects the configuration settings of the hosted server hardware such as OS version, storage, network, virtual machine provider, etc. Discovers other instances hosted on the same server to see how these instances might be competing for memory and resources. i have tried with different powershell scripts but in the output few installed applications are missing. My Request: I have 1000+ servers with different Windows OS versions. need script to fetch all the application details installed onto the servers. Many post how to setup a Kiosk / auto logon, Sysinternals has a great 3.01v, however to take advantage of the settings to Enable/Disable for each user their is not currently a command line to accept the option while at the same time being prompt for credentials/or acceptance from the UAC. Script to automate using Group Policy Startup/or/Logon requires that the Tool be given admin privileges. This is a challenge since the KIOSK user is just a domain user with no admin access. The key is to use the Sysinternals tool that removes the Plain Text access in the registry, use GPO to administer the settings on Start up. All without having to execute the tool at the workstation for each just to Enable the feature. Thanks – Ted. In order to get the Remote Desktop Client to function in a .NET project you must obtain the Remote Desktop ActiveX control wrapper (MSTSCLib.dll and AxMSTSCLib.dll). You may need to unblock the files, since they were downloaded from internet. Create PowerShell Winform and add Panel control. Additionally add buttons for connect, disconnect, refresh, etc. where $dllpath is the location of the files. Click here for the Microsoft Remote Desktop ActiveX control client settings reference. 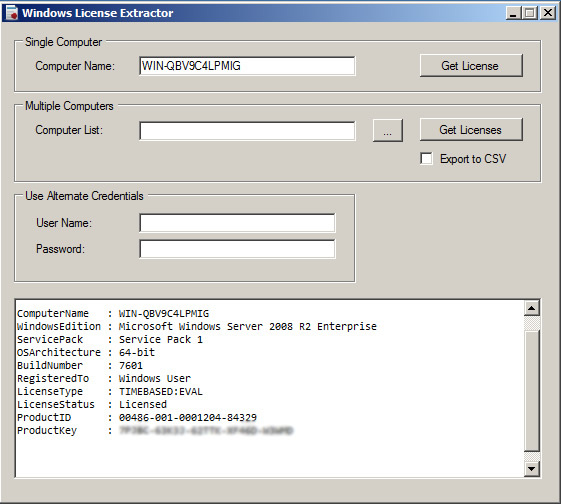 Windows License Extractor is a small PowerShell/WinForms GUI tool that will help you to display/export licensing information (including the product key where possible) for your current running operating system, as well as other remote computer systems. 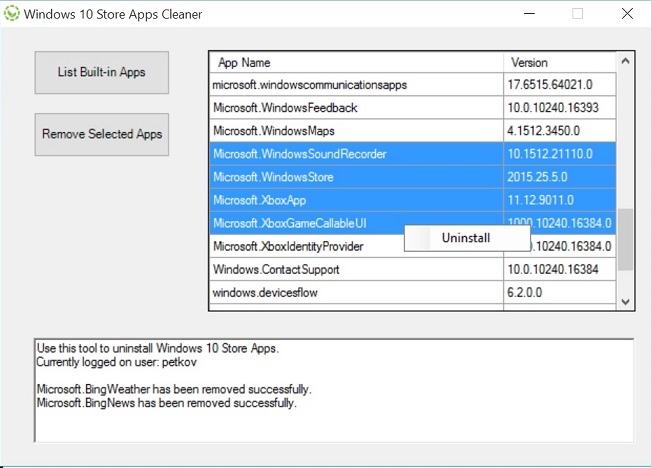 This utility can be useful if you lost the product key of your Windows, and you want to reinstall it on your computer. 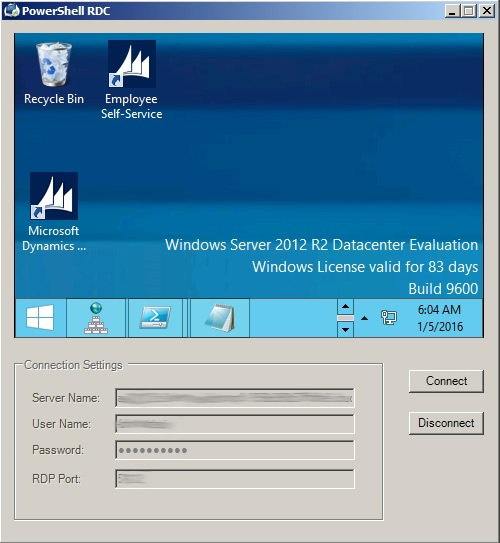 Displays the Windows Firewall state for Domain, Private, and Public profiles on local or remote computer. Use Get-FirewallState to show current Firewall state that is presented on the Windows Firewall with Advanced Security Properties page, with the tabs for Domain, Private, and Public profiles. Specifies the remote or local computer name. When using HOSTNAME parameter, Windows PowerShell creates a temporary connection that is used only to run the specified command and is then closed.